As Australia captain Michael Clarke walks away from Test cricket after 115 Test matches, we look back at the 14 he played against South Africa. He scored 1 487 runs at 67.59, his most dominant performance against any country bar Sri Lanka. He had five hundreds, three fifties, with a high of 259 not out, but was dismissed by Dale Steyn on no fewer than nine occasions. This was the match in which the spotlight was stolen by Graeme Smith as he came out to bat at No 11 with a broken hand, but Clarke enhanced his credentials as a future leader with a fine 138 – his first century in five Tests at his home ground. He danced out of his crease to attack spinner Paul Harris. Australia were in a bit of bother at 162-5, but Clarke put on 75 with Brad Haddin and then shared a 142-run stand with Mitchell Johnson to ensure Australia’s biggest total of the series. 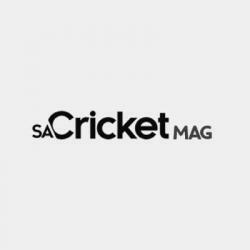 They had already lost the three-match series, but at stake was the World No 1 ranking which South Africa would have taken if they had a clean sweep. Clarke’s innings ensured a competitive total which was to end in victory. In his second series as leader, Clarke delivered a captain’s hundred. 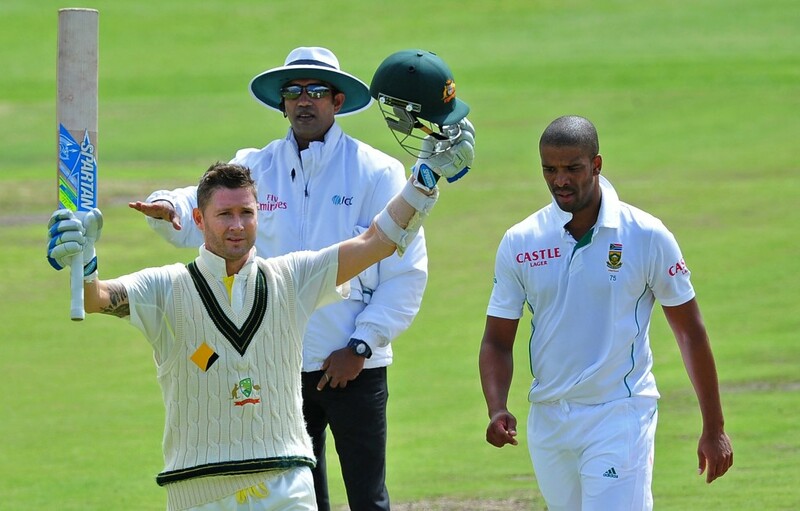 Dale Steyn was in the midst of a masterclass in fast swing bowling when Clarke came to the crease at 40-3. Seven of his teammates made single-figure scores but Clarke steered the team with a brilliant 151 in their total of 284. The match is mostly remembered for Australia’s disastrous second innings of 47 all out, but Clarke’s century deserves to be remembered with awe. Clarke’s brilliant innings rescued Australia from 40-3 once again, this time at the Gabba. With Ed Cowan, he put on 259 runs before Cowan was run out, but Clarke batted on to finish unbeaten on 259 when he declared the innings closed. Rain had washed out the second day, so Clarke was unable to push Australia towards victory, but equally he ensured South Africa did not have any chance of a win. In a match more remembered for Faf du Plessis’ stonewall resistance, which brought him a maiden hundred and a draw which kept South Africa in line for a series win, Clarke quietly scored his fourth double ton in a year – a world record – and his second in succession after Brisbane. Clarke and Mike Hussey rampaged through the afternoon and Clarke was particularly harsh on Imran Tahir (whom he hit for 79 off 69 balls) and Morne Morkel (70 off 56). After adding 272 with Clarke, Hussey was bowled by the last ball of a shortened day to leave his side 482 for five, including 202 in the final session, with 66 fours and nine sixes in all. Only once before had a team scored more on the first day of a Test: Australia hit 494 for six against South Africa at Sydney in 1910-11. Morne Morkel came out firing and targeted Clarke specifically. One of his bouncers actually broke his shoulder, but that was not known at the time. He ended with an unbeaten 161 in the deciding Test of the series. He went to stumps on day one unbeaten on 92 and the pain prevented him from sleeping, but he completed the innings on day two and set up what became a defining victory in his captaincy career as Australia won the match, the series and reclaimed the No 1 Test ranking from South Africa.